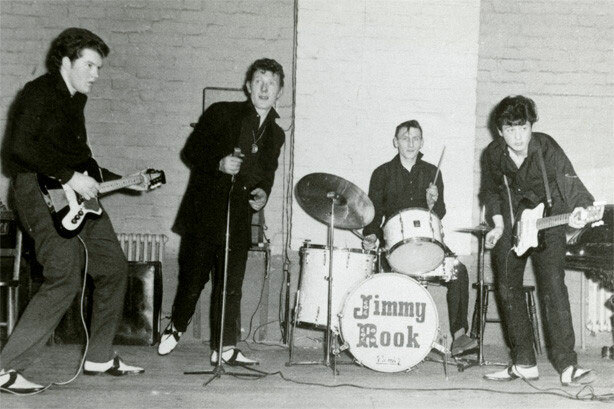 The First Gear was a five-piece Yorkshire band with Dave Walton on lead vocals, Phil Birkenshaw (gtr, vcls) Michael Ryal (bs, vcls), Raymond Wafer (gtr) and Ian Colling on drums. 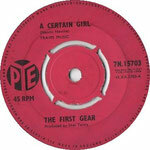 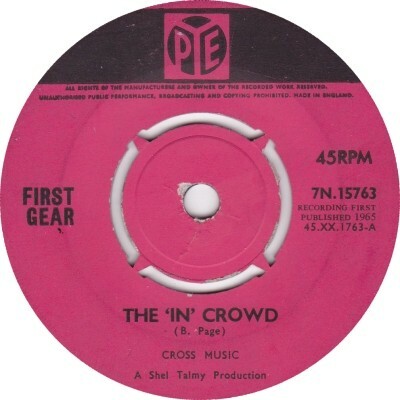 The First Gear's version of "The 'In' Crowd "is one of many singles that fall into the 'Did A Guitar Virtuoso Play On It?' 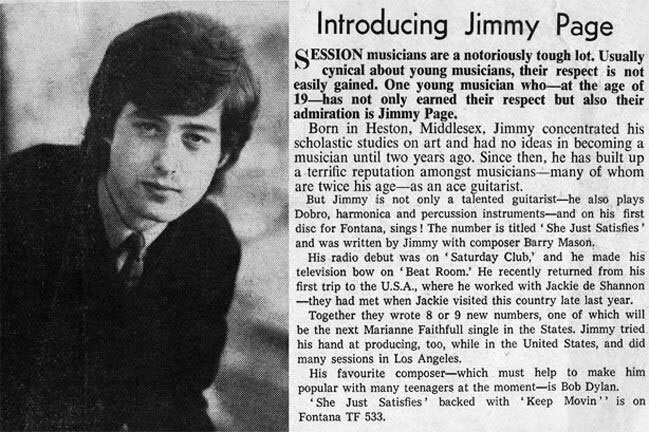 category, the virtuoso in question being Jimmy Page. Jimmy is indisputably the soloist on "Leave My Kitten Alone", the B-side of the band's first single, "A Certain Girl". His performance on that track has often been nominated as Jimmy's best-ever solo. 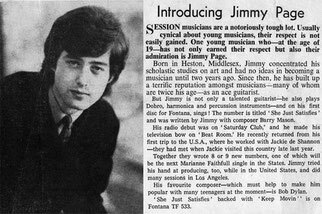 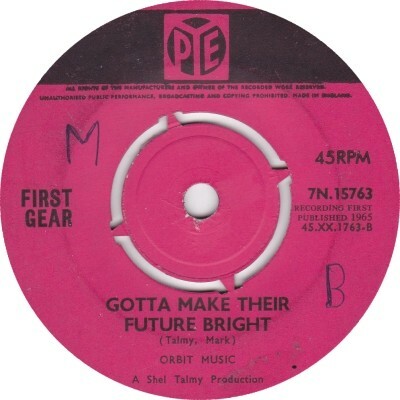 The inclusion of all four The First Gear tracks on a double CD of 'Page played on this' Pye and Immediate tracks Jimmy Page – Hip Young Guitar Slinger indicates that he is believed to have done so. 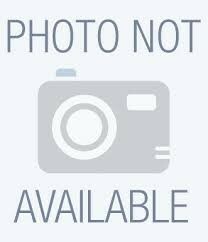 Both releases were produced by Shel Talmy, who frequently used Page at his recording sessions.